Melt chocolate in a double boiler. When the chocolate starts melting add butter, milk and nutella. MIx it well that it forms a silky smooth mixture. Keep it aside. In a seperate bowl beat eggs with sugar that it doubles in volume. Put the vanilla essence into beaten eggs. Now fold beaten eggs in chocolate mixture. Also add gelatin mixture. Then fold in whipped cream. 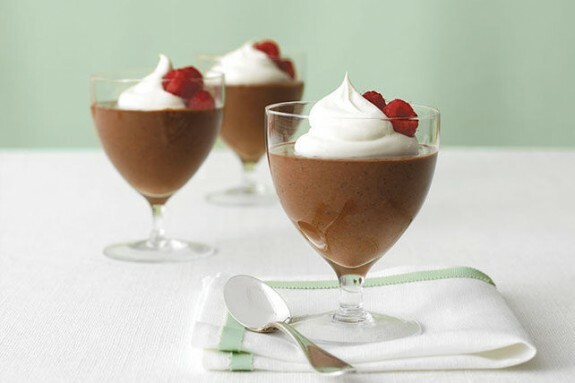 Pour into small cups or glasses, decorate with fresh cream and chocolate decorations, serve chilled.